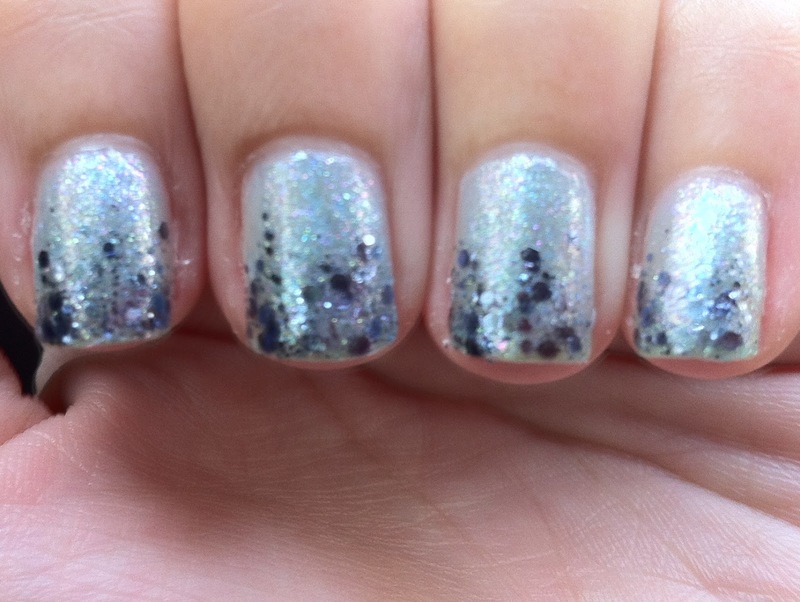 I have had this polish since forever but somehow never reached for it so far. 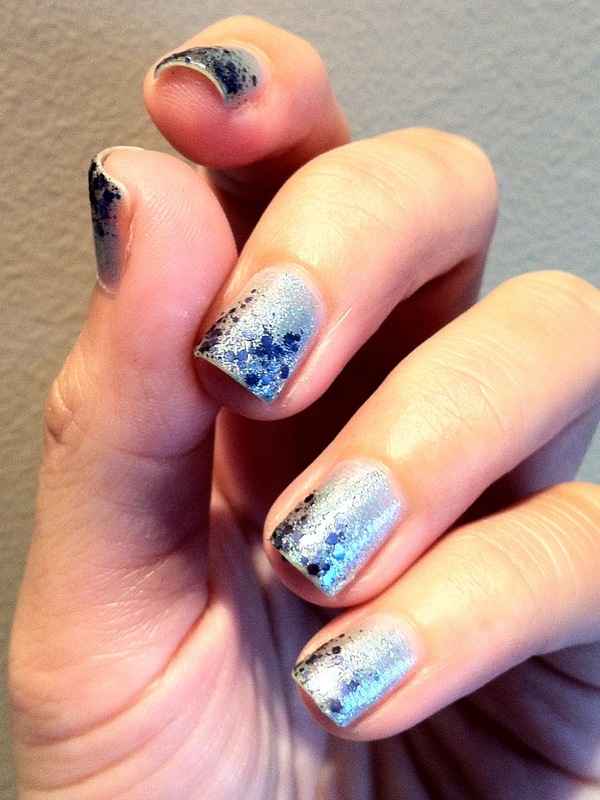 I love the rose colored glitters in A Cut Above but never seemed to have the perfect base to go with it. When I got Boji from one of my beauty box subscriptions I knew that I would pair them both together! 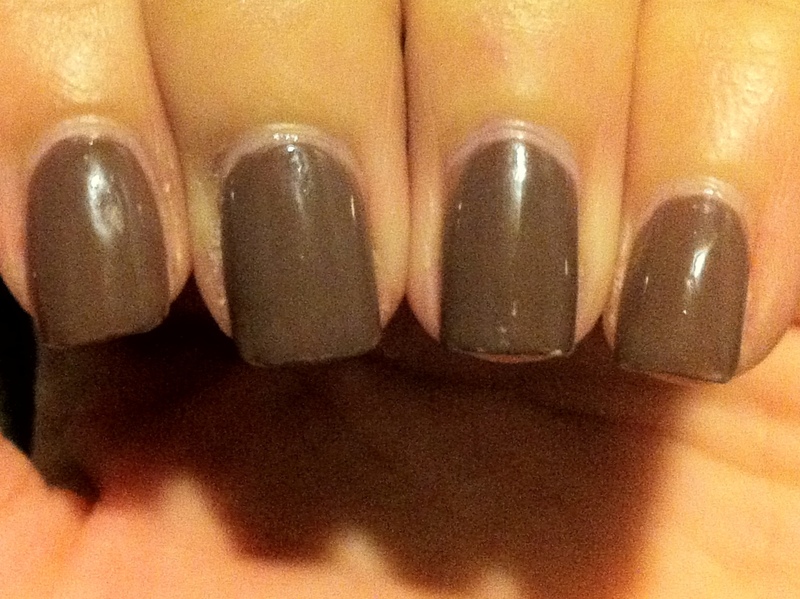 Boji is a nice purple leaning taupe creme polish. It applied nicely in 3 thin coats and dried rather quickly too! I thought that I have already put up a swatch of it but I guess I thought wrong. I will have to go look for the photos! A Cut Above is indeed a cut above with it’s easy to apply formula! 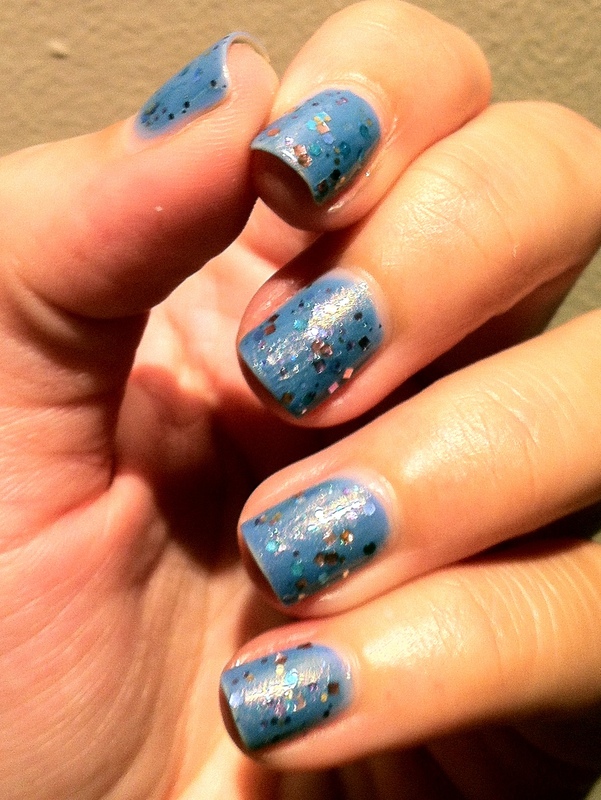 The glitters came out without a fuss and required no manipulation during application. My bottle of A Cut Above has been sitting in the drawer for quite a while now so the glitters have settled quite a bit. All it needed was a good shake and it was back to it’s awesome self. The shot above isn’t my normal photo format but I just loved it so much that I had to post it here. I like how the black background makes my hand seem so fair! You know what, as I was looking at these shots I tried recalling where I took them but for the life of me, I can’t remember where I took them! Gah! It’s the New Year already!! Time sure passes by really quickly! 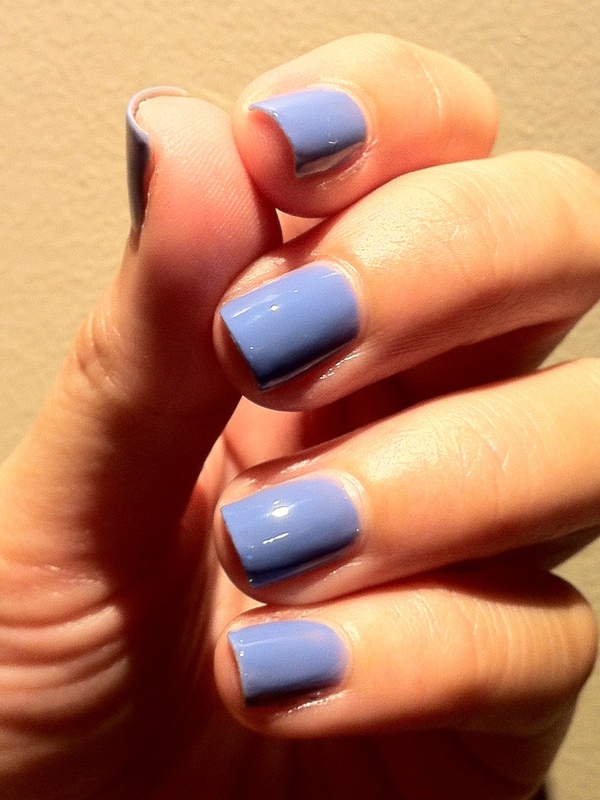 I wore this manicure yesterday. 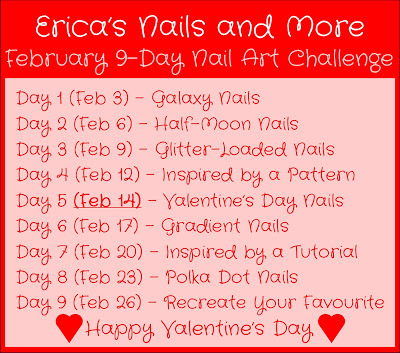 My choices for the polishes were easy – what have I not tried on this year! A quick look in my drawers I picked up polishes which I thought looked good together. 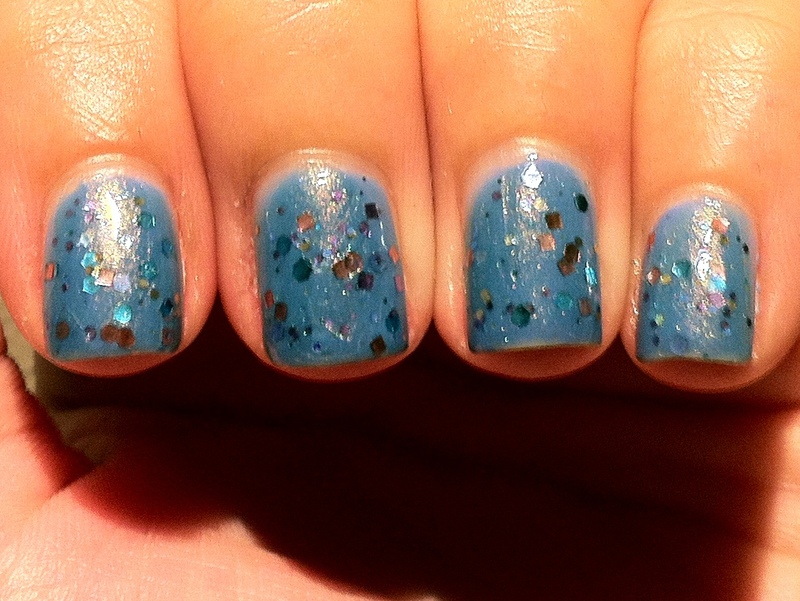 Rainbow Honey Celestia and essie’s A Stroke of Brilliance. I first started off with 2 coats of Celestia. This color is lovely on its own. It’s packed with light glitter and glass flecks. 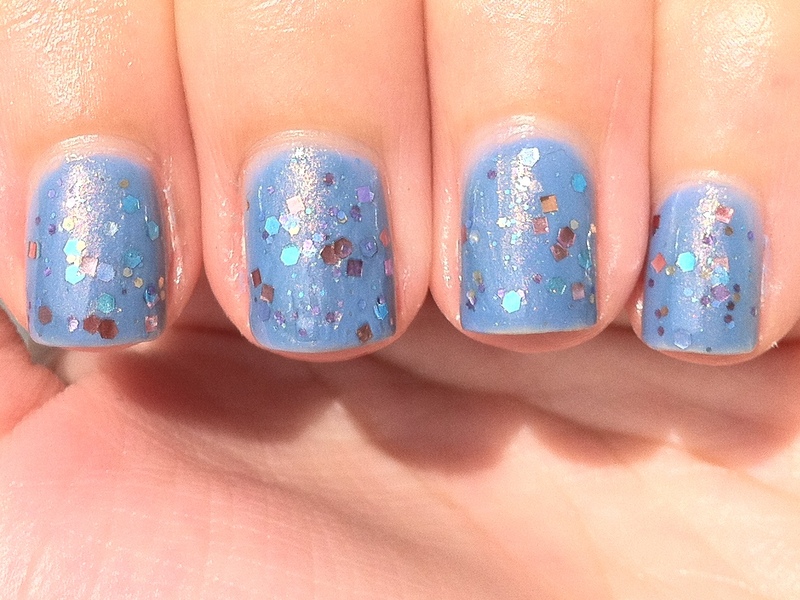 The only thing that bugged me a little was the sheerness of this polish. 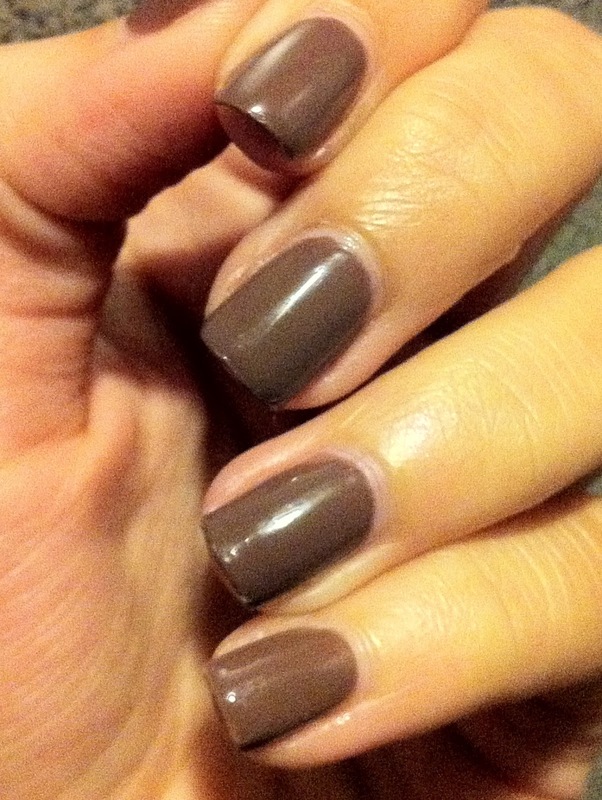 Even with 2 coats, under certain lightings my nail line was very visible. 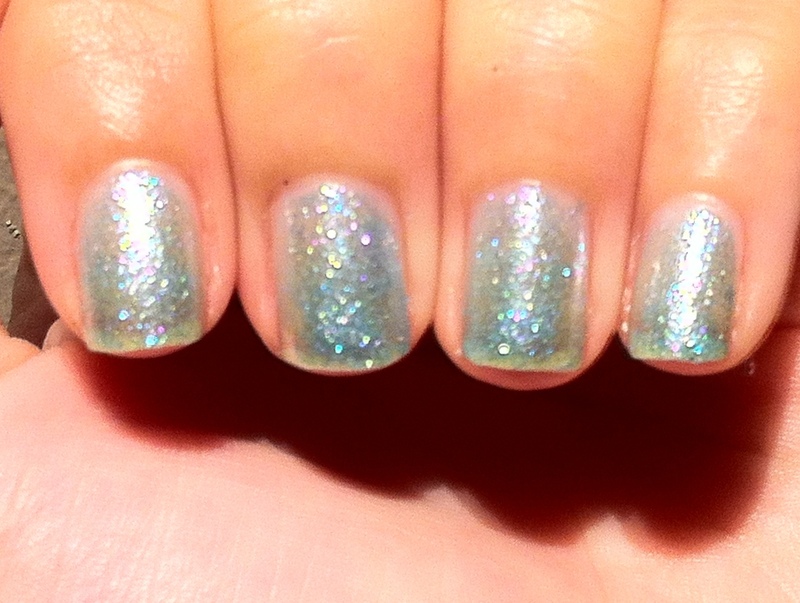 Sheerness aside, this polish is super shiny! 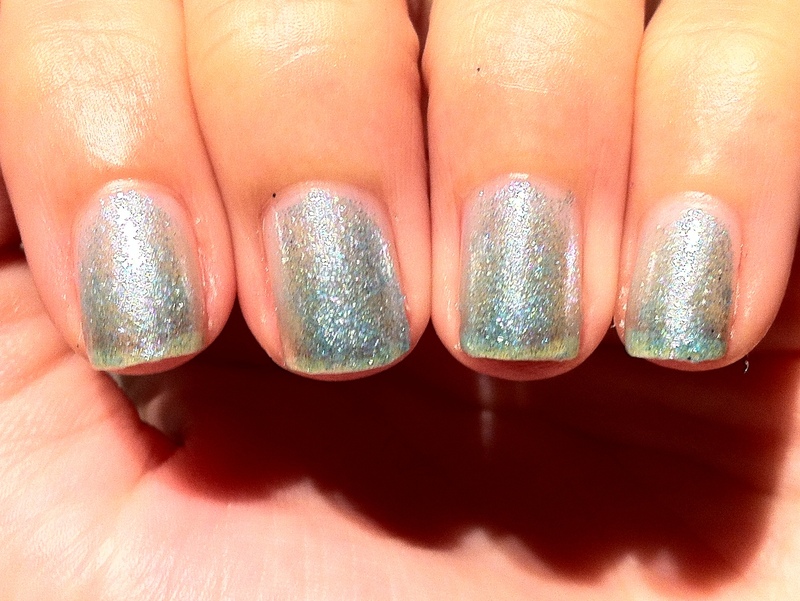 I then grabbed A Stroke of Brilliance and dabbed it on my tip to create a gradient. I intended for it to be an accent nail but fell in love with it so much I did it on all 10 fingers! I love how the different blues managed to blend together so well! 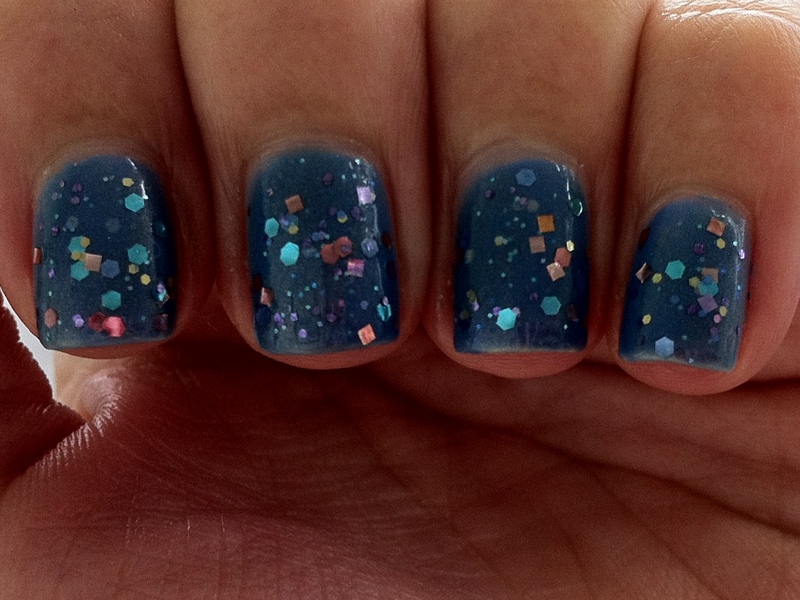 What did you wear on your nails on NYE? 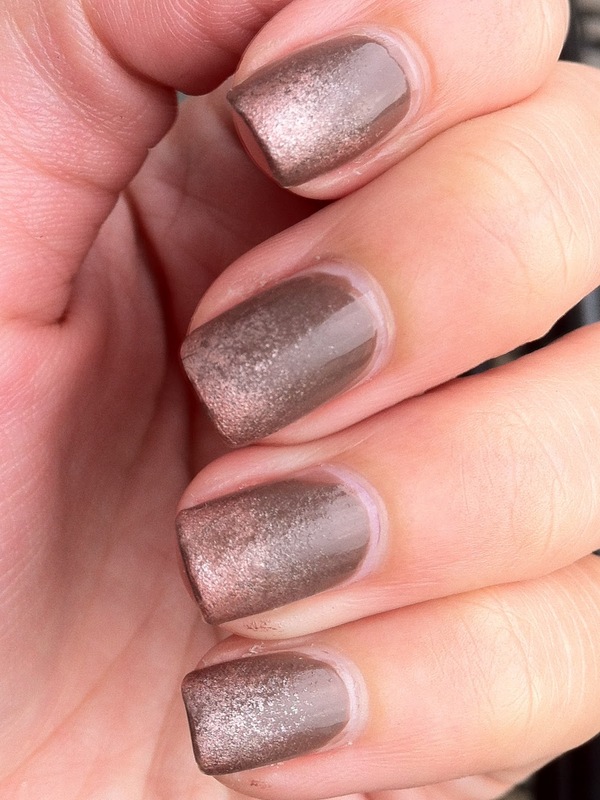 My choice of layering polish is my one and only Girly Bits polish – Indian Summer! Did you guess right? Indian Summer is the September shade form the Girly Bits Calendar Girls Collection. It is a mix of pink, blue, periwinkle, copper and gold, in a sheer periwinkle base. 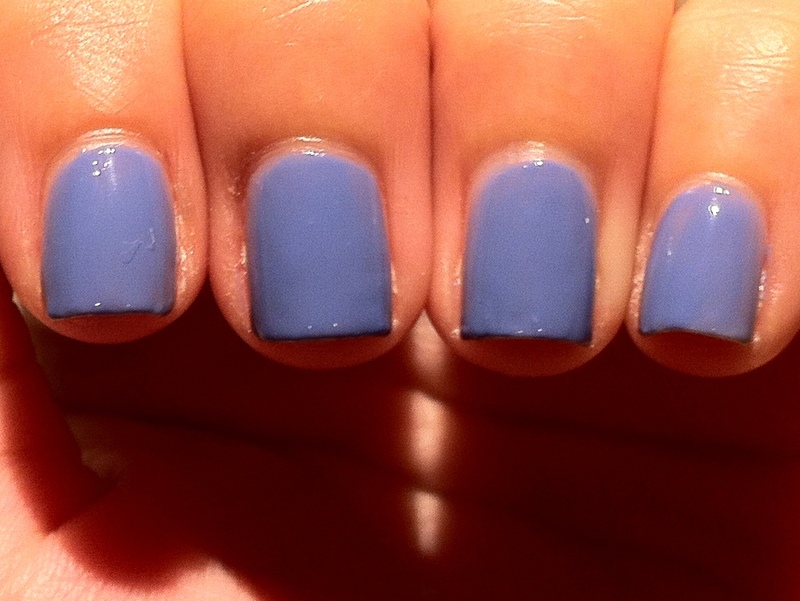 Now do you see why I had to get Essie Lapis of Luxury? Aside from having all those lovely glitters in it, Indian Summer also has a slight color shifting properties to it. The periwinkle base gives off a nice pink glow at certain angles. 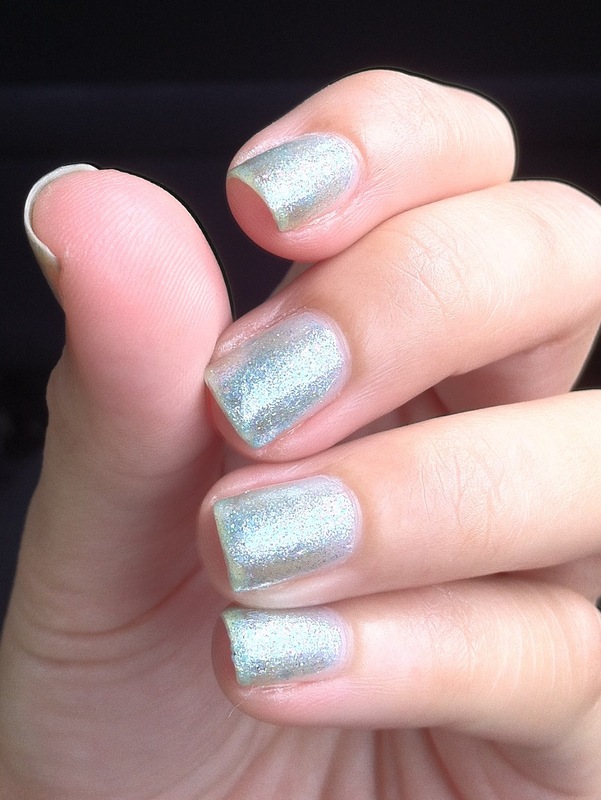 In the shade, this polish reminds me of another glitter polish. Can you guess which? 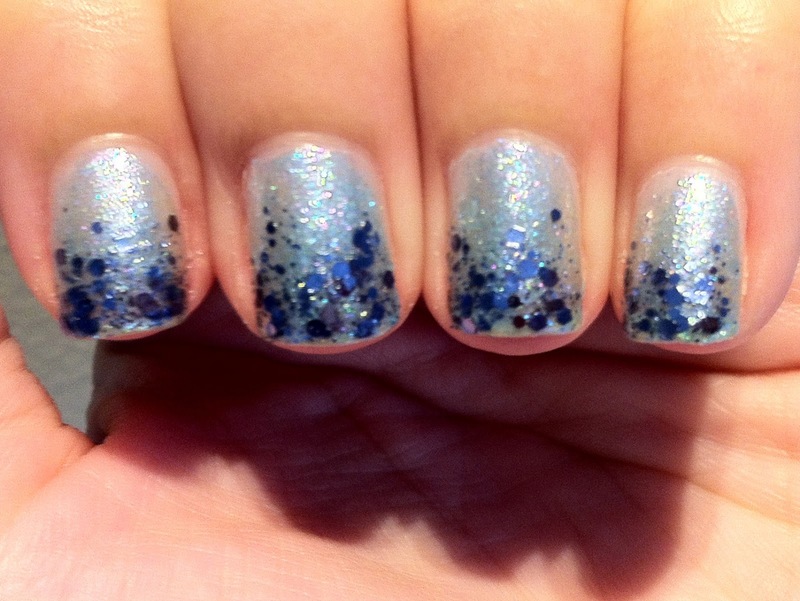 It reminds me of Oceans Alloy from Hare Polish. They aren’t the same definitely but quite similar to me. And because I love this polish so much, I am just gonna leave a bunch of photos after the jump for your viewing pleasure! I have been searching high and low for this and I finally got this polish!! It was always a toss between China Glaze Secret Periwinkle and this but after many google searches later I decided to grab Lapis of Luxury instead. This is 2 (thin) coats on my nails. I know there are some bald spots on my nails but I was thinking to layer something else over it so I just left it there. Do come back to morrow to see what I chose to layer over this.